I asked the writers of Bentobyte to choose their favorite episode from shows they have reviewed or follow from 2014 and to describe why. Here is the complete list of the very best from the Bentobyte team! In a show where it felt like pretty much any character was a scene away from death, “Kill the Emperor” really managed to shock me and send me reeling with a character’s death. Of all the characters, I thought Tatsumi was probably the safest. Nope. While Tatsumi dying kind of crushed me, I’d be lying if I said “Kill the Emperor” didn’t stick with me. My jaw literally dropped in the last minute of this episode. 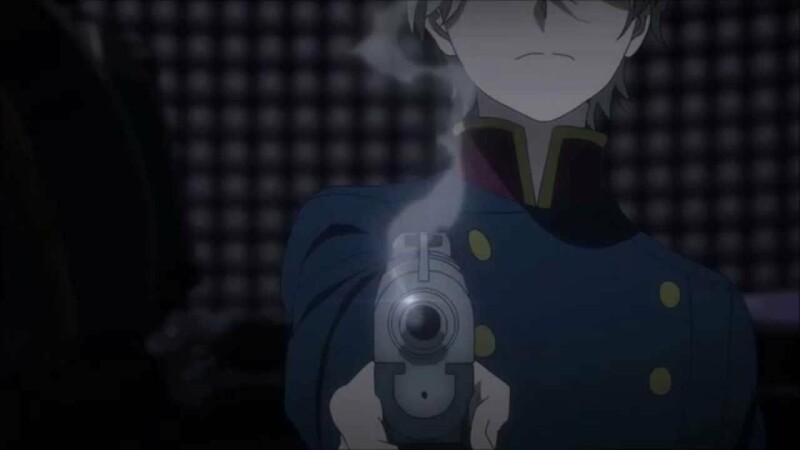 Aldnoah.Zero had been violent and dark at times, but nothing like this. I was in such shock after finishing this episode, it changed my view of the series. I’m so excited to see where the story leads, especially now that season two is starting. People had been killed off in Aldnoah.Zero before, but not quite like this finale. The finale took everything we knew about the show, and then turned it upside down. I mean, Aldnoah.Zero apparently decided killed off like two of the main characters at the very end of it. This moment alone made it a game-changer in terms of my perspective on the show. My jaw dropped to the floor and I have been dying to see what happens in season 2. What was good about it: Terra Formars had a rough start the first few episodes, mostly thanks to the abrasive censorship which took away a lot from what could have been great action scenes and left you to fill in the blanks with your mind. But after episode 4, the show shifted towards better fights and less censorship due to the higher concentration of bug deaths. After having nearly lost interest in the series, episode 4 proved that Terra Formars had more to offer. When we were asked to choose our favorite episode for 2014, I knew this wasnt going to be an easy desicion to make. I ultamately ended up choosing the final episode for Yuki Yuna, not because it was my favorite anime of the year, but because that episode stuck with me. Even after a week I could still vividly remember the episode. All the action , the fighting , and the emotions this episode stirred up. It was all so well done and it made a great end to a great series. Now if I have to pinpoint one specific reason why I chose this episode, I would have to say it was because this episode brought out emotions in me that only a few other show have. I was so immersed in what was going on and in the pain that the characters were experiencing that I even began to experience their pain myself. That meaning ( and I hate to admit this) that I ended up tearing up and crying. This was my favorite of 2014 because it was the first time we really saw a Master be equally matched–if not more powerful–to a Servant. It was also a tipping point for Shirou’s character and really solidified his growth as the season headed out, preparing us for his character for the second season. Fate/Stay Night: UBW is a hard show to pick a favorite episode for, since each episode is pretty much awesome. However, “The First Battle” really stuck out to me, mostly because of the work of ufotable. 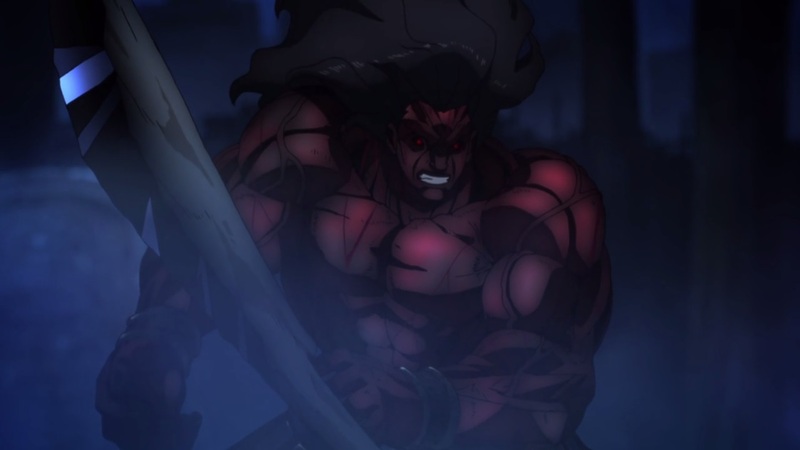 ufotable’s animation is among the highest in quality, and no episode really displayed that better than “The First Battle.” The fight with Berserker was absolutely incredible. The story was fun too, as the entire episode was pretty much Illya and Berserker kicking Shirou, Rin and Saber’s asses. Fruit of Grisaia had quite a few memorable episodes, but none were quite as intense as “Raison D’être.” Sasaki only got one episode devoted to her background, but damn. Fruit of Grisaia made it as intense as possible, flushing out all they could. The explosive ending was one to remember, and was a high point in the series as a whole for me. I don’t watch a lot of shorts, but I was pretty enthralled with this series. “Drunker Devil” is an episode that anyone who’s ever had one too many can probably relate to. Additionally, it aired on October 30th. Halloween is a peak time for stupid, drunken debauchery, which made “Drunker Devil” feel even more memorable, as it felt even more relatable at the time. Even though the title would make you think otherwise, this show doesn’t actually have much to do with supernatural battles. Neither does my favorite episode. “Sensitive Age” was the episode that got me the most invested in the characters, which were pretty much the most integral part of the show. Characters are always important, but I kept coming back every week because of how great this bunch was. This episode was a point of transition for the rest of the series. After two or three episodes, we learned to not get too attached to anyone particular character. And with this episode, we were reminded once more that plot armor won’t save you in Knights of Sidonia. (I would argue she didn’t have plot armor, but that’s just me. – Matt) Nothing was quite as soul crushing as seeing an intimate moment between Nagate Tanikaze and Shizuka Hoshijiro, only to have it followed up with her tragic death, tragically ripping the two of them apart. And as we know from the rest of the season, they like to play with our emotions and memories of Hoshijiro. The scene in the Ferris wheel evoked quite a few emotions near the end of the episode. Lisa hadn’t really added much as a character at this point in the series, but watching her accept fate (essentially her death) and tell Twelve to leave was something new for the series. To watch a character that was as simplistic as Lisa go through an emotionally pivotal point was the development of her character that viewers were waiting for. The entire scene within the Ferris Wheel was so beautifully done that I would argue it as the strongest moment of the show. 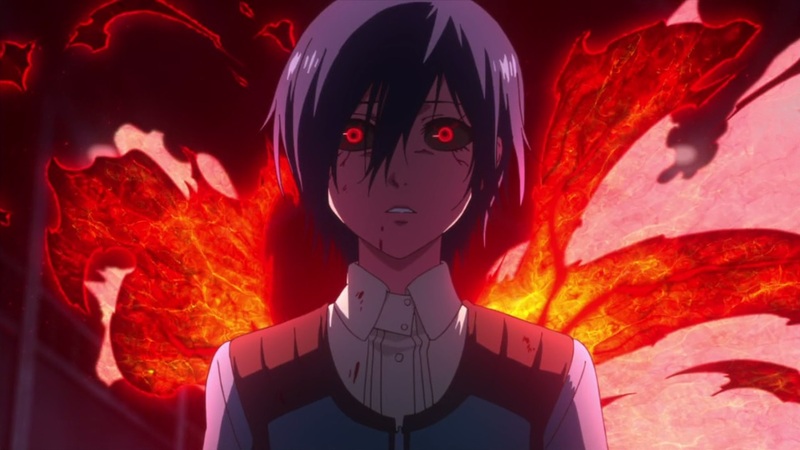 Purely for the fight scene in the church, “Cloudburst” was easily one of the best episodes of Tokyo Ghoul. We were treated to Tōka Kirishima’s kagune and her fighting style, which was fantastic to watch. The episode contained a whirlwind of emotions. From saving Nishio’s girlfriend, to the lead in to the death of Hinami’s mother, it was a lot to take in within a brief 22 minutes. 2014 wrapped up to be an incredible year for anime, with fantastic new shows and new seasons for old favorites. BentoByte has been honored to take this journey with you through the emotional rollercoasters, bloodsoaked battle royales and heart-melting moments that these numerous shows took us through. We hope that you will continue this ride with us through 2015! This top episodes list is just a small fraction of the amazing work that BentoByte has covered and what we will continue to cover. Look forward to another whole other year of phenomenally crafted series to emerge and for familiar faces to be seen again!